The first edition of the BikeToday.news Readers’ Choice Awards has reached the final stage and the winners have been announced. This first edition was a success with hundreds of validated votes received from 49 countries. Thanks for your participation and we are looking forward to your participation next year. Don’t forget to follow us on our Social Media pages (Facebook and Twitter to receive regular updates about the Bike Industry and the next edition of the BikeToday.news Awards. UPDATE: The winners of our Give Aways have been randomly selected and we sent an email to the winners with the instructions to claim the prizes. Make sure you check your email (inbox, trash and spam folders just in case) and reply before January 8th 2018 - the offers expire after this date. Here are the BikeToday.news Readers’ Choice Awards 2017 WINNERS. Congratulations! AZUB was founded in 2000 by Aleš Zemánek in Uherský Brod, giving it a brand name at the same time. It is an abbreviation made up of Aleš’s initials and the initials of our town. 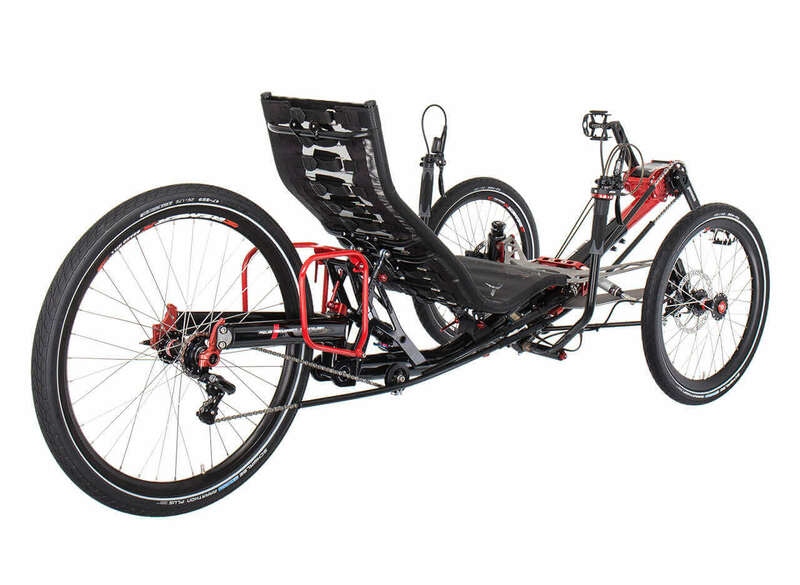 We started out as a cheap East European brand of recumbents and after fifteen years of great effort, we are among the best recumbent manufacturers. From the very beginnings we have pursued our aim – to make the best recumbents in the world. Confucius once said: “A journey of a thousand miles begins with a single step”. So we set off on ours. Having a run-of-the-mill production line spitting out the same bikes day in and day out would not be for us. Why should a rider adapt to the bicycle? We think it should be the other way round! So we produce bikes and trikes which are highly customizable and which are built to customers' needs and wishes. 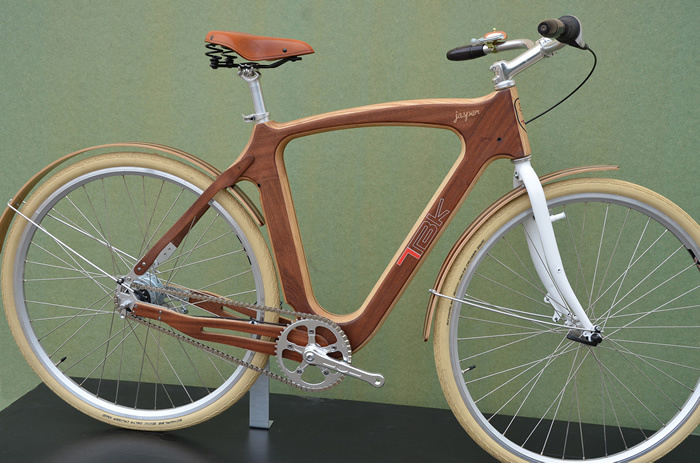 TBK Bike is a Spanish brand specialized in handmade wooden bikes. Ours designs are for lovers of nature and city, but also elegance and originality with and important goal: sustainable mobility. Why wood? The answer is clear: experiencing freedom is possible when riding a TBK Bike because the pedalling in a wooden bike is much more comfortable than any other bike due to the unique physical and mechanical properties of the natural wood fibre. Its specific molecular structure gives it unique qualities in absorbing the vibrations, while maintaining its original form unalterably. On the other hand, wood is a friendly material to the environment, a renewable raw material whose sustainable use benefits the environment and society. Almost imperceptibly, wood surrounds us in our everyday life and qualities include that it is recyclable, contributes to mitigate climate change, hardly uses energy or emit C02 in their preparation and offers solutions that enable innovative designs. 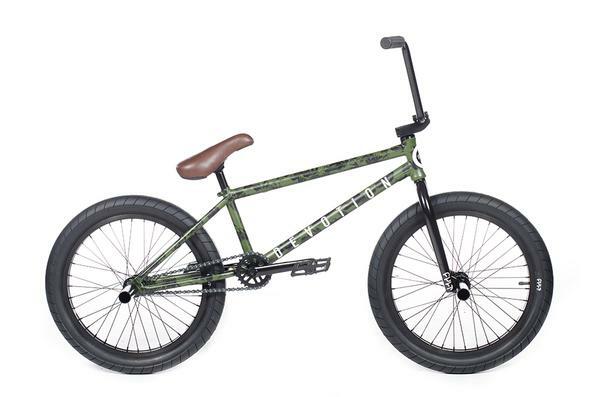 The woods from which they manufacture their bikes come from sustainably managed forests. Finally, as if it were a fingerprint, the wood grain gives their designs a unique characteristic. No bike is like another. 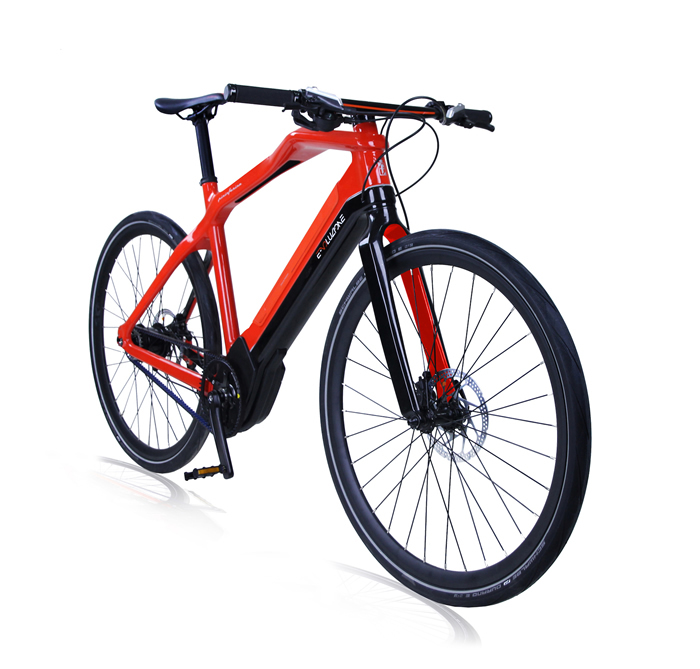 TBK Bike commercialize urban models bikes, with electric version, road and gravel bikes. They also have wooden accessories, as pedals, mudguards and bars. 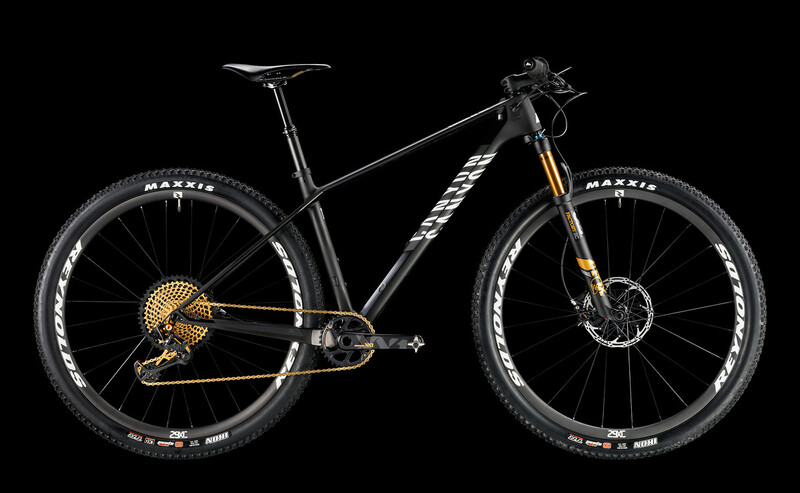 Canyon (Germany) - The Exceed CF SLX 9.0 Pro Race LTD combines together the best hardtail tech to make the sort of bike that can help you win anything from the marathon mountain bike world championships to a personal best on your favourite local climb. The carbon fibre frame for 29 inch wheels offers the low weight and responsive ride that will help you kick it over long, steep alpine climbs. Equipped with the Fox Factory 32 Step Cast Remote suspension fork with 100 mm of travel, this Exceed will absorb the trail bumps without deadening the handling and killing your climbing since it comes with a lockout remote. Simplicity and functionality are the keys to the 12-speed SRAM XX1 Eagle with its single 34-tooth ring at the front, and crisp shifting with the Eagle rear derailleur that has the capacity to work with the cassette spread from 10 teeth to 50, guaranteeing the full range of gears for every terrain. The SRAM Level Ultimate brakes will help you stay in complete control whether you are feathering them with one finger or slamming them to avoid over-cooking a corner. 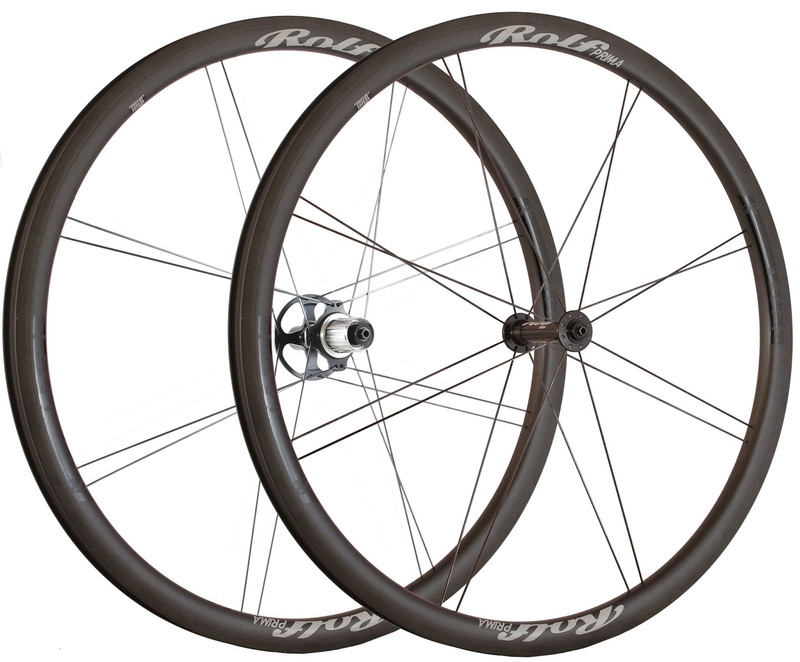 The Reynolds Black Label XC wheels enhance the entire package with their lightweight carbon rimmed durability. Weighing just 1400 grams, these are high-performance wheels ready to tackle your biggest races and toughest courses. And the Maxxis IKON 2.2 tires will ensure the grip you need to keep rubber-side down. And since the Kind Shock Lev CI Carbon Dropper Post comes equipped on this Exceed, you’ll be able to attack those tricky, technical descents at speed and in total control. Ordering the Exceed CF SLX 9.0 Pro Race LTD will give you the tool you need to make your biggest dreams become your biggest successes. Van Nicholas (Netherlands) - Named after Skeiron, the Greek god of the north-west wind, Van Nicholas hope their new road bike will be as swift and powerful as its mythical namesake. Designed to appeal to the fast-paced rider from all over the world in search of the very latest road-racing innovations, the Skeiron boasts state-of-the-art technical features that place it at the cutting edge of Titanium race bike technology. And on Wednesday 30th of August the Skeiron won a golden Eurobike Award in the category 'Racing Bikes'. The technical innovation doesn’t stop there: flat-mounts for the disc-brakes have been developed to provide aerodynamic advantages by hiding the mounting bolts and tucking the brake callipers closer to the frame; the internal cables and hose can be easily replaced through the well-thought out cap underneath the bottom bracket; and if super clean lines are your thing, the latest Di2 electronic shifting is available as an option. Titanium purists will be pleased to hear that Titanium’s fabled comfort has not been forgotten in the quest for technical perfection, with seat post and seat stays optimised to allow the right degree of flexibility to kill road buzz, without sacrificing power output. It all adds up to a light, quick, technically advanced race machine: optimal rigidity for laying down the power; disc brakes for unparalleled feel and stopping force; aero-optimised features and Titanium’s magical ride. The innovative integration of the Skeiron will leave other bikes floundering in its slipstream. The Skeiron is available as a complete build in the sizes XS t/m XXL (48, 51, 54, 57, 60 and 64) with a total price from € 3.499,-. A frameset with front fork will cost € 2.099,-. You can order the Skeiron with its classic titanium look, or with the special decal set on the frame as you can see on the photo. Canyon (Germany) - By now you know whether your child loves cycling, and it’s time to splash out on his or her first carbon mountain bike. Buying the Canyon Exceed CF 24 will give your kid access to a top-quality spec in a small package, so your little athlete can continue to grow a love of the outdoors. Taking a leaf out of our adult Exceed model line, the Exceed 24 inch is a hardtail mountain bike intended to excel over backcountry trails. Designed to offer a lightweight manoeuvrability that will be equal to the most advanced MTBers on the junior circuit, while still providing the sort of disc braking power to ensure things will never get out of hand. The Xfusion Velvet RL2 front suspension fork offers up to 80 mm of travel to cushion young hands and wrists from bigger impacts that they may encounter the deeper into the woods we all love to ride, as well as lockout function to help with efficient climbing. This is a bike designed to help them push the pace with their XC friends and even give the adults on the trail a run for their money. With one 32 tooth chainring in the front and 11 gears for the rear cassette, this junior mountain bike will give the youngsters the chance to test their limits while trying new trails. The 24 inch wheels will help eat up the tracks, and will be a revelation for the kids, especially if they are coming from 16 inch wheels. 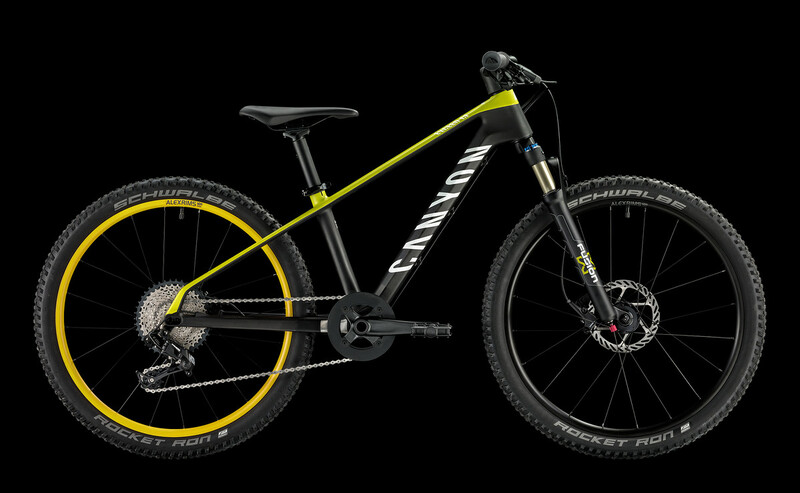 Made for athletically ambitious kids between 120cm and 140cm tall, the Canyon Exceed CF 24 will probably be the last stop on their way to graduating to full-fledged adult bikes. The wood gives our designs an unique characteristic. The different types of wood allow different and exclusive combinations. No bike is like another. The design is a sign of this longing for comfort, but also for the resistance. Its structure is hollow inside and resembles the monocoque frames boats and the grain of the wood has been respected in order to confer resistance to the bicycle. AZUB Bike (Czech Republic) - Cutting-edge technology meets stunning shape and excellent riding properties. AZUB Ti-FLY is the epitome of an intensive five-year development of our trikes. In 2015, our previous top model, the TRIcon 26 , was presented with the prestigious award “Trike of the Year 2015”, thanks to its superior workmanship, stable steering and the revolutionary design of the rear fork with a 157mm wide hub and a solid-through Syntace axle. In the Ti-FLY model, all these technical details are complemented by a unique technology of titanium front suspension, which makes it the most advanced trike in the world. Experience the comfort and amazing stability this trike offers. The use of the grade 5 aerospace titanium (Ti-6Al-4V) has enabled us to reduce the weight by half (compared to similar solutions from steel), and also to achieve a great look without having to increase the weight by applying paint. The transverse titanium leaf springs provide a comfortable 40mm travel with a progressive end and a soft stop. The use of the renowned IGUS plain bearings requires minimum need for servicing while ensuring easy serviceability at the same time. A tight fit of the connected parts and their smooth operation are guaranteed. Thanks to the transverse link of the left and right wheels with a leaf spring and its specific shape, the stabilization has been cleverly integrated directly into the springing itself. The result is a sleek, high-tech and lightweight self-stabilization. Diavelo (Netherlands) - The limited edition Pininfarina electric bike (88pcs): sporty character and ecofriendly soul. Evoluzione is innovative from several standpoints. The key word of the project is integration. Developed from a holistic design philosophy, all the main parts are perfectly integrated in the bike: The battery (patented technology), the German Brose mid-engine, the handlebar and stem, the cockpit, all the cables, is all integrated into the complete design. The advantage of a high level of integration of all components is not only aesthetic but also functional because it means a better weight distribution and balance and a more comfortable and performing ride. The bikes and parts is most carbon in order to keep the weight under the 15 kg. The bike is equipped with GPS and electronic shifters. The bike is designed and developed by Diavelo from Accell group. Bkool S.L. (Spain) - Bkool, the Spanish indoor training company, has unveiled two new turbo trainers, including the newest incarnation of its best best-selling smart turbo trainer, the Bkool Smart Pro 2. Building on the success of the original Smart Pro, and featuring a new, stylish design - the Pro 2 promises an even quieter workout, thanks to a redesigned fan cover. It runs at approximately 68db when rolling at 35kph, weighs in at only 11.6kg and can simulates slopes of up to 20%. 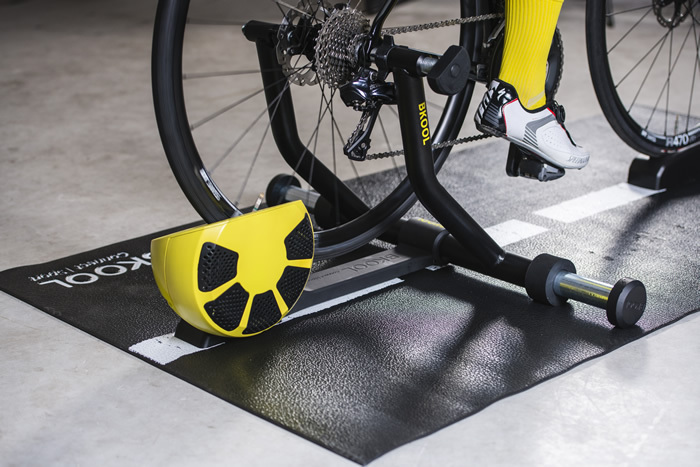 Being the only smart trainers to simulate inertia, the new Bkool range allow riders to enjoy the momentum of flying down slopes, and feel the burn in their legs when pedaling up hills and mountains. This means that the feeling when riding is close to reality, exceeding most high-end trainers. Hot on the heels of the Pro 2 trainer, Bkool have also officially released a teaser for their new direct drive smart trainer, the Smart Air. The Smart Pro 2 is one of the most aesthetically pleasing options on the market. Compatible with ANT+ and Bluetooth Smart, allowing seamless wireless connectivity. There is no assembly or calibration required, and with the machines made up of two pieces, cyclists can simply plug in and play. Like previous trainers, they come with a subscription to Bkool’s virtual trainer software, which allows cyclists to ride any route in a virtual environment, 3D racing, real weather scenarios and take part in velodrome games. Riders will also have the ability to customise and analyse any workout on Bkool’s analytical software. Tall Order (UK) - Simple multi tool! Basically existing tools are very expensive and complicated. Retailing for between £50 - £60 this tools are often too big, heavy and include items that you rarely need. 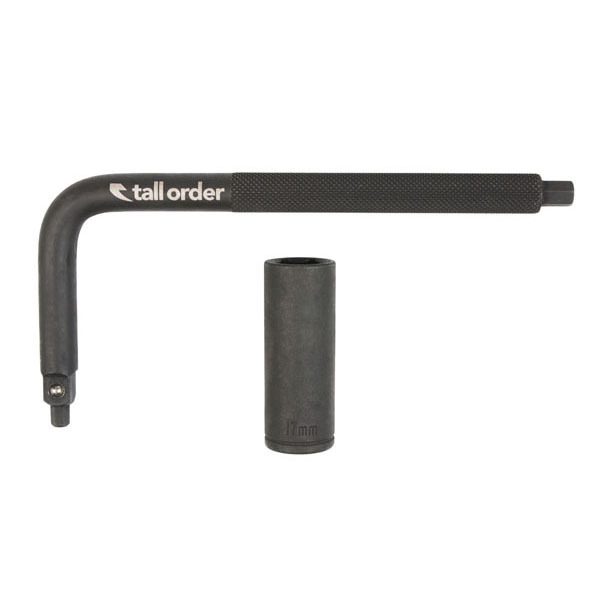 The idea of this tool is that you can fix virtually anything on your BMX bike with one simple tool! We had a rider travel the entire globe with no other tool than this in his bag! 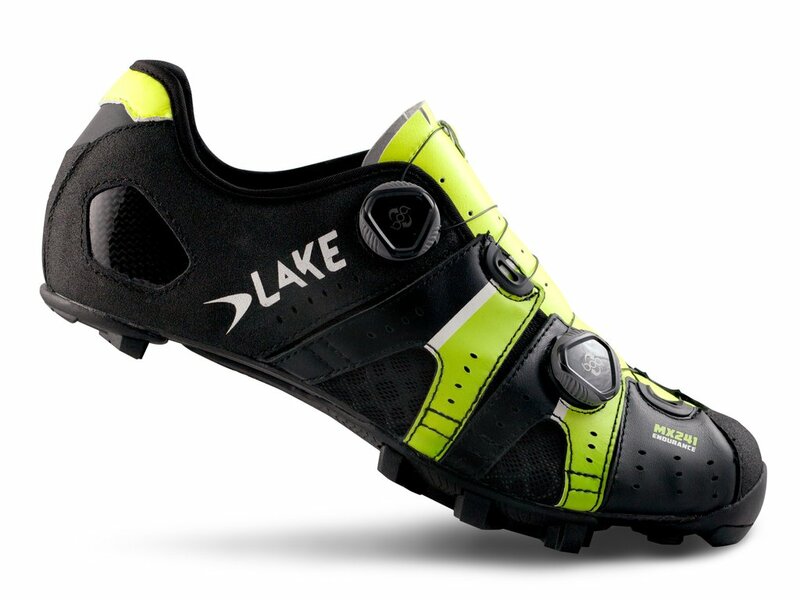 Lake Cycling (Netherlands) - The MX241 is a culmination of all or our experience, advanced materials and shoe making techniques to make a shoe that offers the best fitting solution for any foot type. With a heat moldable heel counter and an uniquely designer upper that has enough adjustability to accommodate feet with any instep height or foot volume with out sacrificing comfort. Outsole is 100% carbon fiber sole with Mountain Race X real rubber sole. 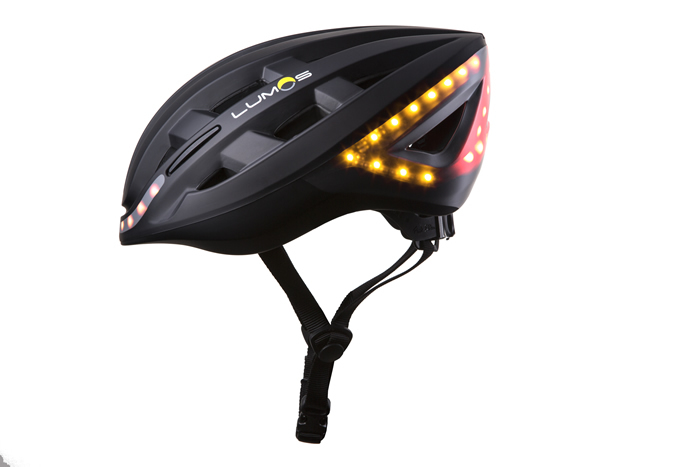 Lumos Helmet (USA) - Lumos is the world's first smart bike helmet with integrated lights, brake, and turn signals. Over 68,000 people get seriously injured and over 3,000 people die while cycling in the US and EU alone. Most frequent cause of collision, injury, and death? Getting hit by a car. These largely preventable deaths and injuries exact not just a human cost, but an economic one as well, costing an estimated $4bn every year. By integrating LED lights into the helmet, we developed a device that instantly makes the rider more visible on the road, drastically reducing their chances of getting into a crash. In the event that a crash does occur, the rider still has a fully functioning helmet to protect them from head injuries. Besides being more visible on the road, we found that being predictable amongst traffic was also very beneficial so we utilized the embedded LED’s and implemented turn signals. Through initial testing, we found that not only was a cyclist wearing the helmet more visible, but they were also commanding more respect amongst motorists on the road as they were now playing by the same rules. RideFarr Pty Ltd. (South Africa) - A lightweight carbon handlebar designed specifically for endurance riding. Rolf Prima (USA) - Light, fast & tubeless compatible. Completely redesigned for 2018, the Ares3 is more than just lightweight and wicked fast. It’s tubeless compatible and has 19mm internal width for wider tires and premium handling. The TdF5.5 hubs feature Enduro Zer0 ceramic bearings and, new for 2018, our T2 High Engagement drive mechanism for even faster engagement. The Ares3 is an ideal for all-around road riding – especially if you live for climbs, bombing descents, and no flats. New for 2018, the Ares3 Disc takes all the aero benefits of the super light Ares3 and pairs it with the all-weather stopping power of disc brakes. Spank Industries (Taiwan) - SPANK Industries set out to make the perfect pedal for every rider, and the SPOON 90 is a true custom upgrade for our small footed friends! These size specific SPOON Pedals offer three platform width options for riders of any age or foot size. In line with international shoe sole standards, the SPOON 90 was designed to service riders at US Men size 6 (Euro 39) and under. This makes SPOON 90 Pedals the perfect solution for younger riders and many women who have compromised ideal support and grip with traditional size flat pedals. Each SPOON pedal sports a 16mm-12mm concave profile lined with 20 steel pins, as well as a forged chromoly axle which delivers the strength and durability SPANK pedals are famous for. qué grande ser ciclista ® (Spain) - Cycling case to keep accesories nice and clean. X-SOCKS (Switzerland) - TOUGH PERFORMANCE. STRONG ACHIEVEMENT. 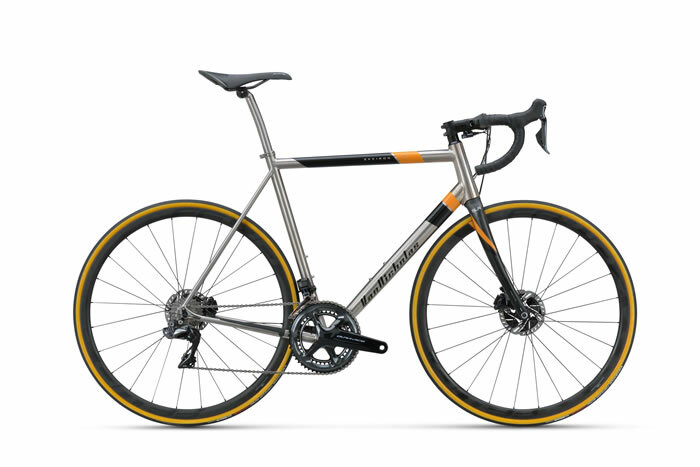 Technical, stylish, lightweight: the same characteristics as a performance road bike. 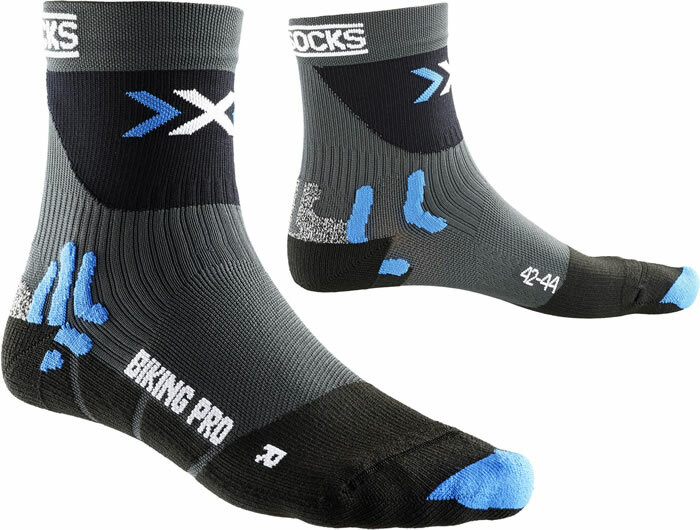 X-SOCKS® meets the requirements of professional riders 100%. The black front section connects directly to the wide-mesh AirConditioning® Channel. Together with the Traverse AirFlow Channel System™ it ensures a supply of fresh air under the soles. Finely woven, but extremely durable. Special protectors are fitted at areas subject to increased wear. Maximum power transfer combined with optimal protection: perfect for tough races. 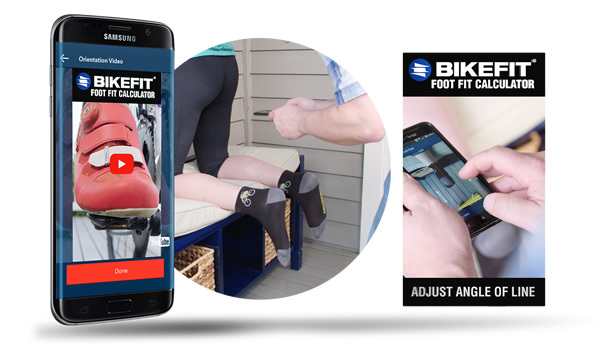 BikeFit (USA) - The Foot Fit Calculator allows cyclists to customize the fit of their bicycle shoes to their pedals. 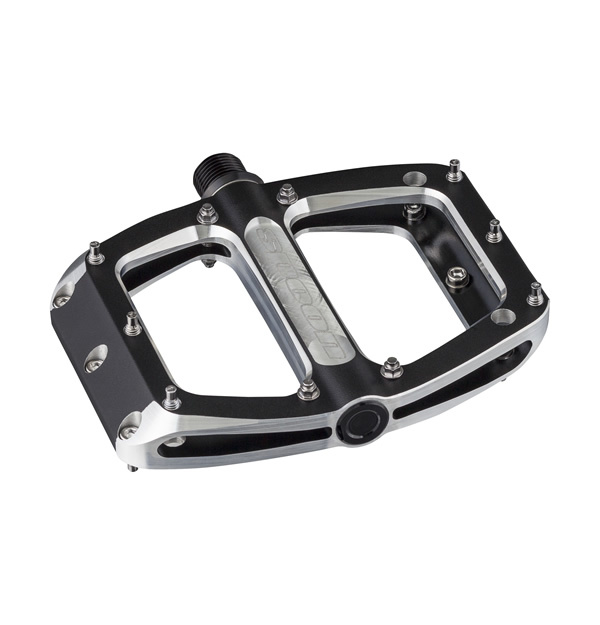 The application walks users through the process of figuring out the ideal pedal-to-foot connection angle and then recommends a solution to optimize foot fit. Users will need a friend to help take the pictures and the application will do the rest! Through an easy and simple procedure, the app guides users through measuring foot tilt. The interface aids the user in to position, kneeling comfortably a couch or chair away from the person measuring their feet (with their knees slightly apart and legs hanging over the chair or bench). Next, the user only needs to have a friend take a quick picture, position the red line as explained in the directions, and then they are provided with the recommended number of Cleat Wedges needed to customize the fit of their foot. 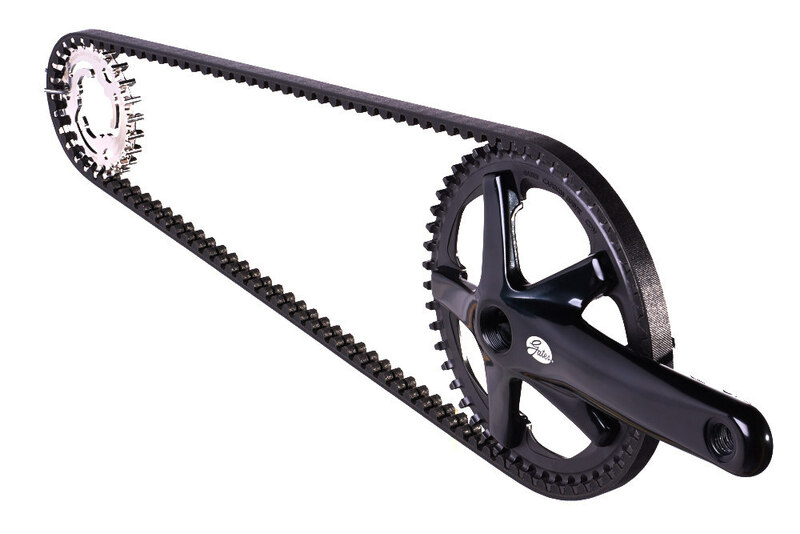 Gates Carbon Drive (USA) - Created by Gates Corporation, a global leader in belt drive technologies, Gates Carbon Drive is the best high-mileage bicycle drive on the market. Whether you’re an urban commuter, rugged mountain biker, eBike rider, or casual cruiser, Gates Carbon Drive has a solution. Choose from our CDX™ High-Performance or our CDN™ Urban products—each offering specialized sprockets, belts, and cranksets. Grease-free, rust-free, and hassle-free. Revolutionary indeed.